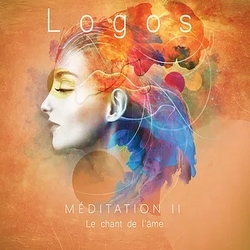 This new album "Meditation II Le chant de l'âme" follows on from "Meditation - Pour une nouvelle conscience". 2 CDs designed to be a guide and a tool for experiencing a palette of inspiring inner states. It is for all the curious of the meditation and its benefits. Because if the interest of our society for meditation is growing, few have the instructions of this often silent and arid practice. The music of Stephen Sicard takes in an interior journey, a marked itinerary whose destination we know: a state of joy, peace and celebration. Meditation promotes activation of the brain lobes and the process of awakening. When the consciousness is illuminated, the cosmic feeling appears and the brain expands. The instrumentation of Stephen Sicard leads in pure spaces, crystalline, subtle, such a continuous song and love where the soul unfolds. All these spaces are in themselves, this new album is just the interface and the way to connect and explore them. We are happy to share his listening on Radio PLENITUDE, every day, from april 15, 2019 to may 12, 2019 inclusive before he enters a regular program.